Welcome to Chocolate Candy Mall's monthly chocolate candy newsletter, Charmingly Chocolate. Homemade Mothers Day Gifts can help you treat your mom extra special for Mother's Day this year. These Mothers Day present ideas will get your creative juices flowing. Mother's Day this year is Sunday, May 10, 2009. Have you decided what to do for your mom? If you're looking for some Mother's Day present ideas, here are a couple of ideas for homemade Mothers Day gifts you can give to your mom this year with just a little bit of extra effort. A lovely mothers day craft for the kids to make are chocolate lollipops. They aren't difficult at all, and they are so much fun! You can pick up the chocolate, molds, and lollipop sticks from Candyland Crafts for just a few dollars. Just melt the chocolate in the microwave, stirring every 30 seconds until melted and smooth. Don't overheat! Fill the molds with chocolate and insert a lollipop stick in each one. Twist the stick to completely cover it and help it hold when set. Allow your chocolate to set at room temperature, or place it in the fridge for 10 minutes to speed the process up. You can even buy cute little cellophane bags and ribbon to make a lovely bouquet for your mom! Adorable! A Gift Basket For Mothers Day! Another on the list of great Mothers Day present ideas is the gift basket. You don't have to spend a fortune on a Mothers Day gift basket. DO IT YOURSELF! Most of us have a basket lying around. If not, pick one up at your local second hand store. You can even improvise by using a box (shoe boxes work great) and wrap the bottom half in a pretty wrapping paper to use as your "basket." Second, you'll need something to line the basket with. You could use tissue paper or paper grass. You could even use a new set of dish towels, if appropriate. Think about what your own mom likes to do in her spare time. That will give you more direction when trying to fill the perfect basket for Mothers Day. If DIY is just not for you this year, you can order a gorgeous Mother's Day gift basket online at Design It Yourself Gift Baskets and still have a hand in personalizing it by choosing what you'd like included. Or take advantage of the special offer and discount at Gourmet Gift Baskets and choose a Mothers Day basket that is ready-made. Mother's Day Special Offer! 10% off any order. Please use coupon code LoveMom10. Valid Only till May 31st. Another option to consider is to send your Mom a package from Boca Java Coffee . They have wonderful coffee, tea, and yummy treats to choose from, and a little birdie told me that they're offering .99 cent shipping through Mother's Day! No I don't mean a typical gift card - though that's not a bad idea either. But what I'm referring to is a candy bar card! Grab a pastel piece of poster board at your local Walmart or equivalent and a variety of candy and chocolate bars and create your own unique Mother's Day card. It's GRAND to have a mom like you. You're always willing to share a CHUNKy of your time with me when I need it. WERTHER I say it often enough or not, I've got MOUNDS of gratitude for all the GOOD&PLENTY things you do for me. You're the best mother in the MILKY WAY, and I wanted to TAKE 5 minutes to tell you so. Okay, it may seem a little corny, but you can come up with your own message just by browsing through the candy section of your local store. You're mom will love it! If your mom has a computer and knows how to at least email, consider giving her the gift of a one year subscription to SiteBuildIt. I only knew the basics of how to email, yet I learned to build Chocolate Candy Mall using SiteBuildIt! I've had so much fun turning something I love (chocolate) into an online business. I'm sure your own mother has some hobby or special interest that she could use to create a website of her own. I even know a lot of retirees who have started their own online business from home to support their retirement income. The Mother's Day Special is on right now until Mother's Day. 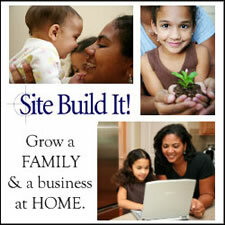 You can get 2 SiteBuildIt packages at a reduced price and maybe you and your mom can both start creating some extra money and have a wonderful time in the process. I sure do!